This is a POWERFUL tool when marketing yourself to potential clients. 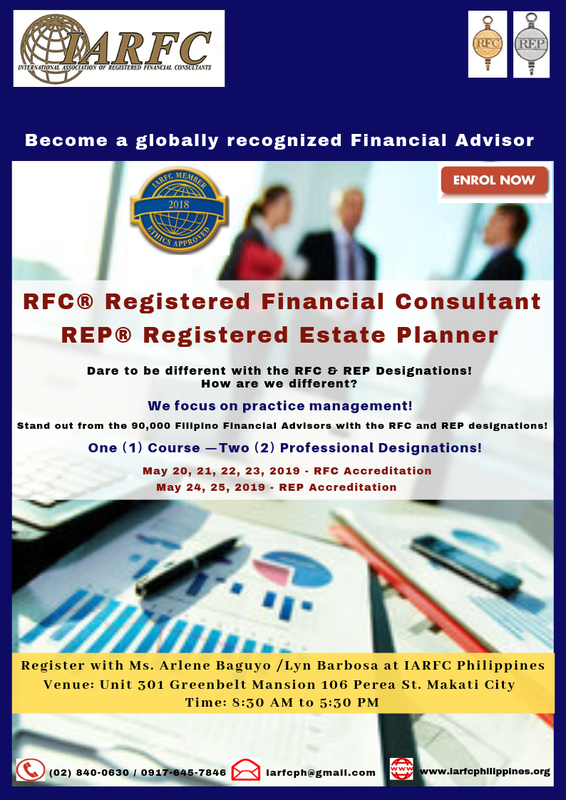 The IARFC can help. As an organization with longevity, our mission is clearly expressed… We are behind our members and the clients they serve by providing a continuing source of information, education and networking…AND by promoting ethical behavior. We are proud of our designations and what they stand for. 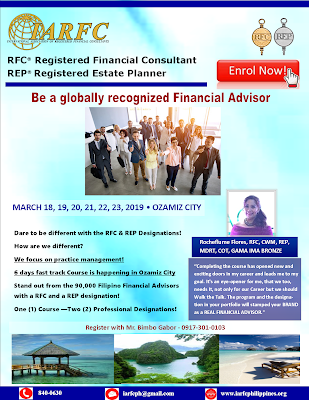 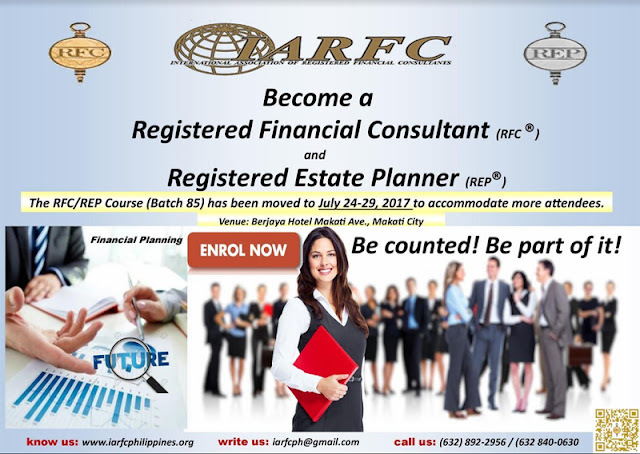 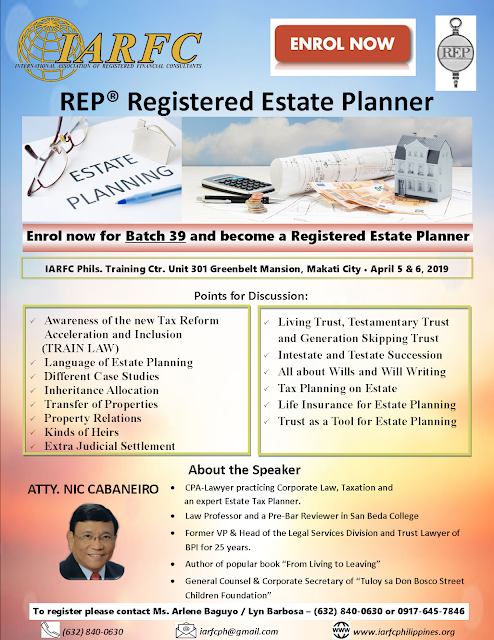 Inviting all financial advisers to join us and qualify for a prestigious Registered Estate Planner (REP) certification. 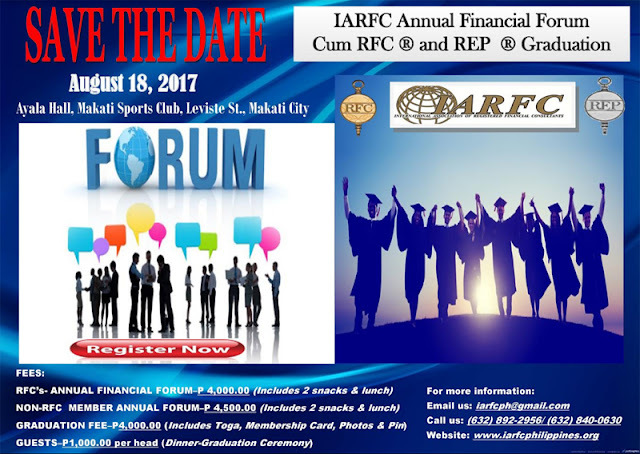 Venue: IARFC Phils. 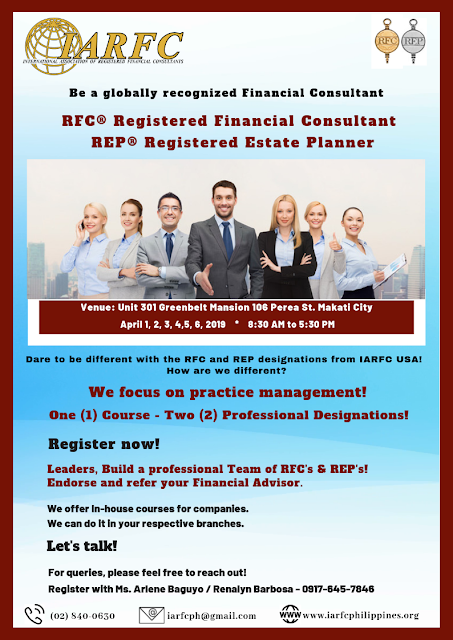 Training Ctr.